The debut of the over 7ft Belial. 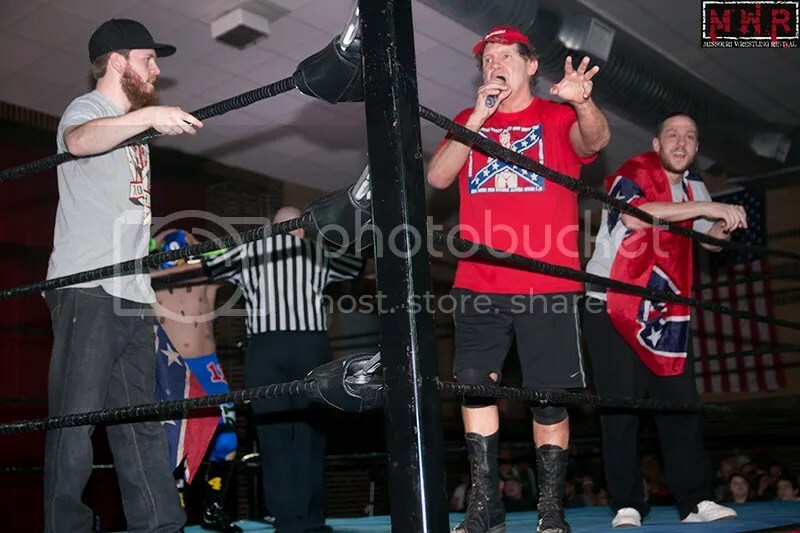 For those who have watched NWA CCW Affliction over the past few weeks, and have seen the cryptic messages from this individual, its certain the NWA as a whole will never be the same after March 29th. 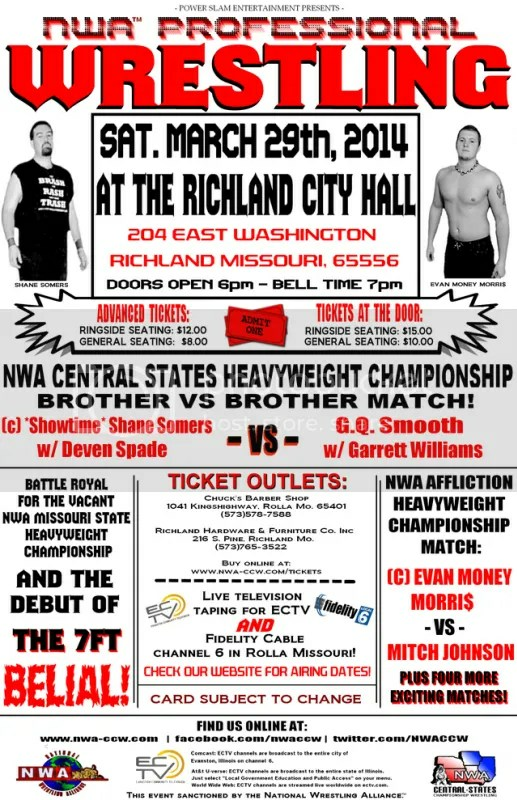 The NWA Central States Heavyweight Wrestling Championship will be on the line, but we have no update on who will be facing current NWA Central States Champion Shane Somers. 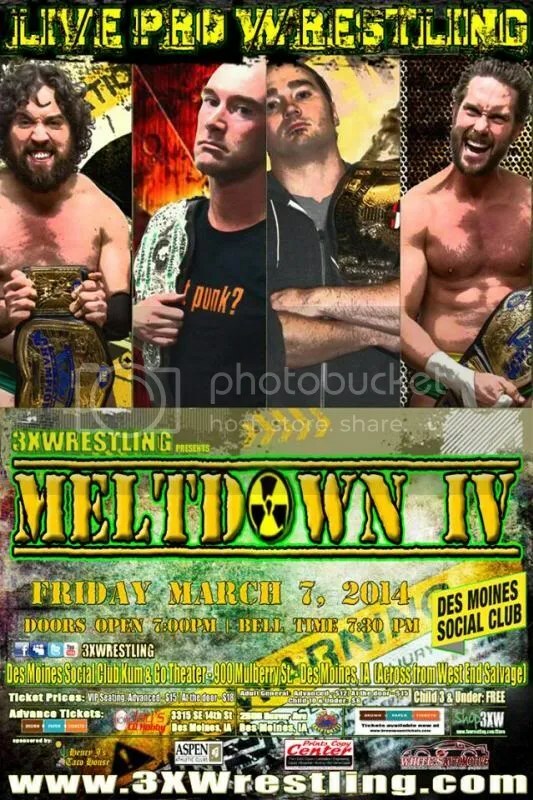 Battle Royal – Winner gets a 3XW Heavyweight title match later in the night! 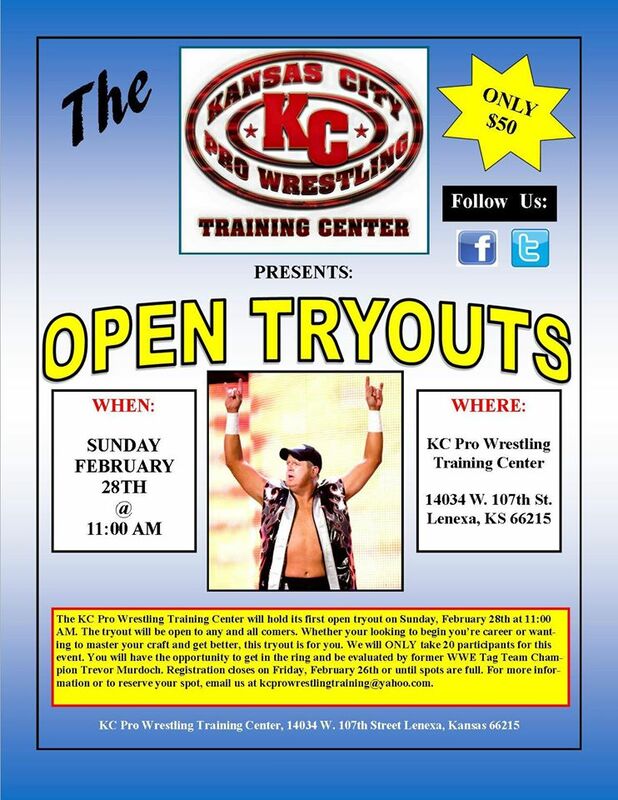 Participants include: “The American Fury” Jon West, Maddog McDowell, “The Right Price” Aaron Masterson, “Delicious” Devin Carter, Latin Thunder, Brady A. Dezire, The Mauler, SM King, Ray Stryker, Nate Redwing, Geek Singh & more! Cup O’ Kryptonite – The Original Coffee & Comic shop! Jake Dirden is facing challengers from all sides…and the Dynamo Tag Team Titles changed hands for the first time in nearly two years! 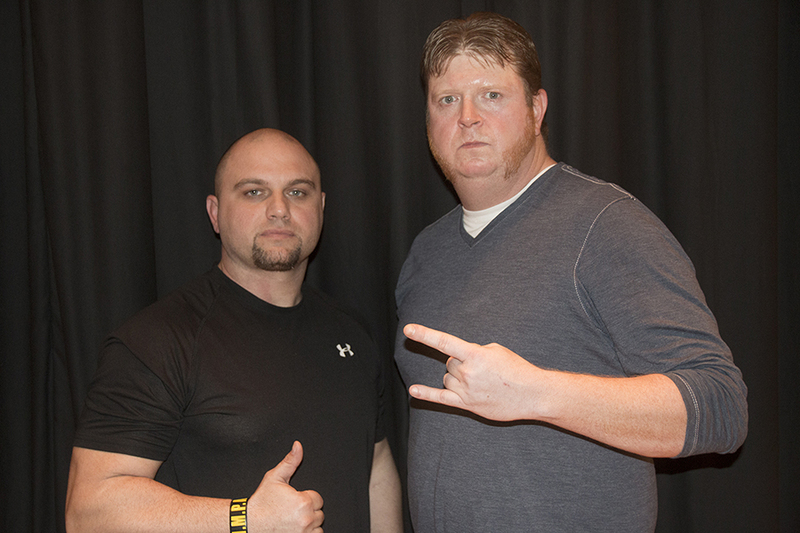 The night started at the Stratford Inn in Fenton with Jeremy Wyatt taking on newcomer Andrew Wilder. 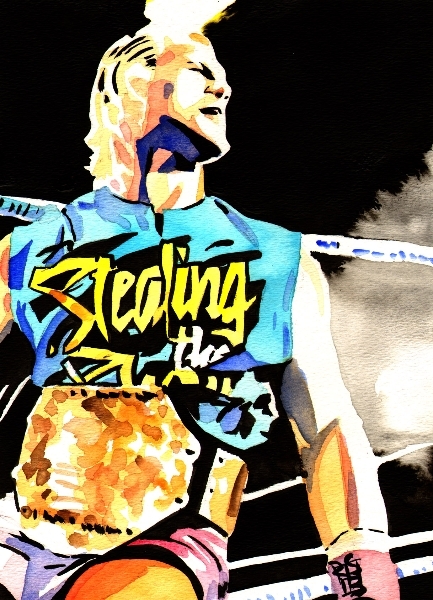 “The Belt Collector” had his sights set on one of the few championships that he hasn’t held…and while Wilder put up a good fight, he was outmatched in this case. Wyatt forced the youngster to tap out to a unique half-crab variation. Another favorite in the night’s battle royal was Alexandre Rudolph. Rudolph’s size and power were a major factor in that instance, but he showed his intelligence earlier in the night by reversing Geek Singh‘s armbar attempt into a pinning combination. Executive Director Mark Bland hyped the night’s lineup but was interrupted by manager Travis Cook. With Ken Kasa and Dave Vaughn‘s Missouri licensing up in the air, Cook was seemingly left without representation on the show…but he had something else in mind for the evening. 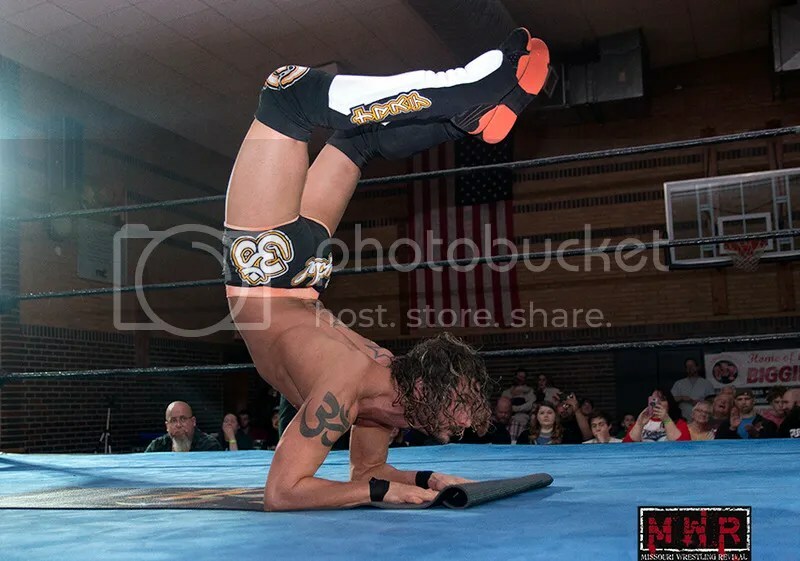 Rivals Mike Sydal and “Showtime” Bradley Charles did battle…Sydal was the crowd favorite on this night and picked up the win after a moonsault while holding his yoga mat. 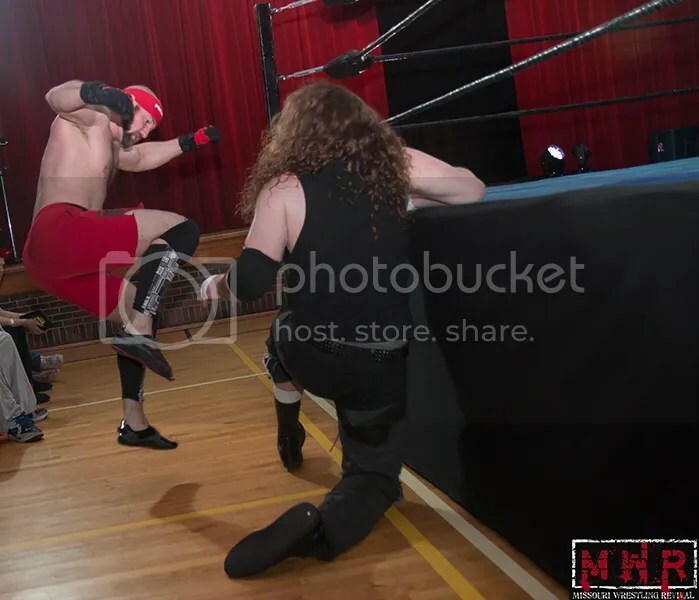 It was every man for himself in a four-corner bout featuring Jon Webb, “The Alternative” Brandon Gallagher, Ace Hawkins, and Evan “Money” Morris. 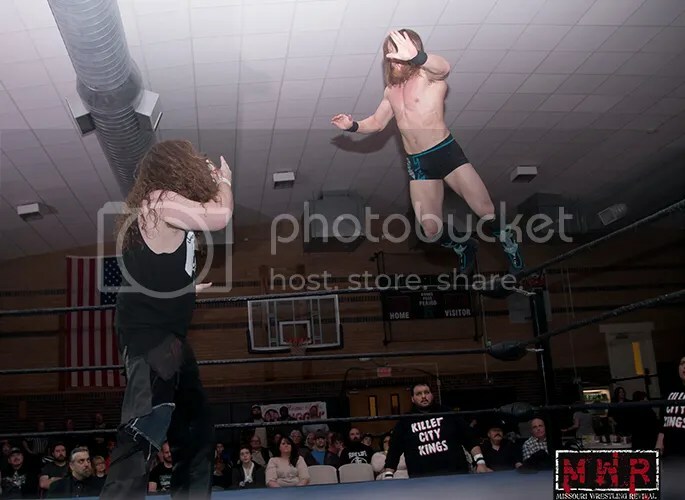 Alliances formed and were quickly tossed aside as only one man could emerge victorious; that mentality worked in Gallagher’s favor as he took advantage of the chaos that ensued. After Webb hit Sliced Bread #2 on Hawkins, Gallagher threw Webb out of the ring and pinned Ace with feet on the ropes for illegal leverage. Kevin X took on Mark Sterling in a battle of heavy hitters. Sterling’s crossfit background allowed him to hang in there with the veteran, but Kevin X took home the victory after his signature Pavement Drop. 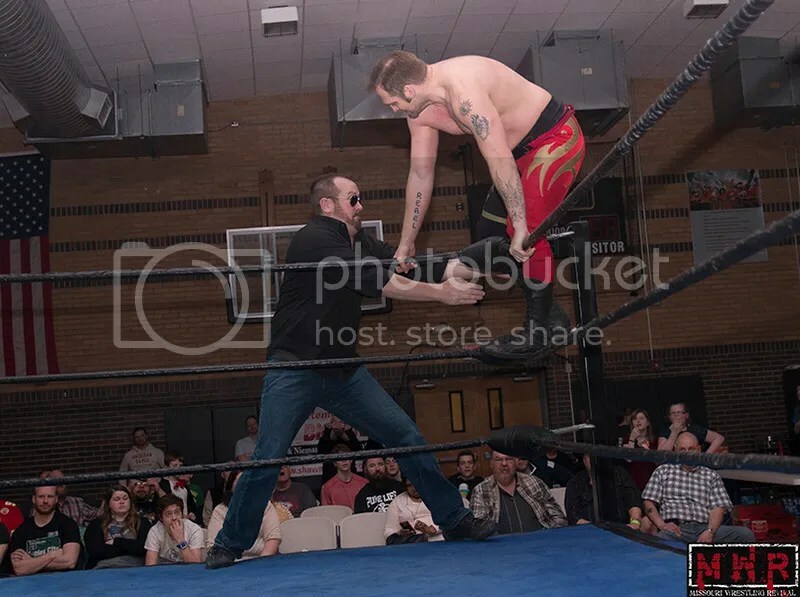 Bland announced that Kevin X would get the next title shot at Jake Dirden at the Off Broadway show…and that brought out the champion himself. Dirden complained that Bland was simply “handing out” title shots to whoever wanted them and that he should only be facing the most worthy challengers. By the end of the night, Dirden would have no shortage of opponents on his agenda. 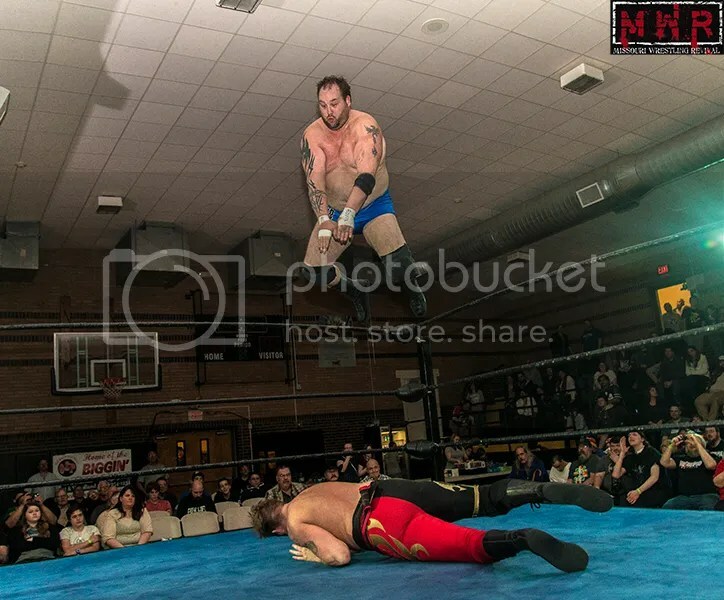 The title was not on the line as Dirden faced WLW Heavyweight Champion Elvis Aliaga. Aliaga lose a close bout to Dirden in January with the Dynamo Championship at stake; however, Elvis claimed the referee had prematurely called for the bell when he lost consciousness in the Asiatic Spike hold. This time around, Aliaga was all business as he took the fight to his larger opponent…but things got out of control and the fight ended in a no-contest after both men shoved the official. All three referees and Mark Bland entered the ring to restore order, but Dirden laid out Aliaga with the title belt. Dirden took his leave, but not before literally shoving the belt in Bland’s face. The Dynamo Rumble was a situation with no friends or allies…only one competitor could walk away as the winner with a guaranteed Heavyweight Title shot. Several favored competitors entered the fray along with some surprise entrants; Lucy Mendez was the second entrant and the lone female contender, lasting several minutes before being eliminated by Wyatt. Newcomer Andino Giovanni made his return after a long injury layoff, battling several more experienced opponents until being double-teamed by Wyatt and SBC. Rudolph was the powerhouse of the field, eliminating several entrants and lasting until the final four. 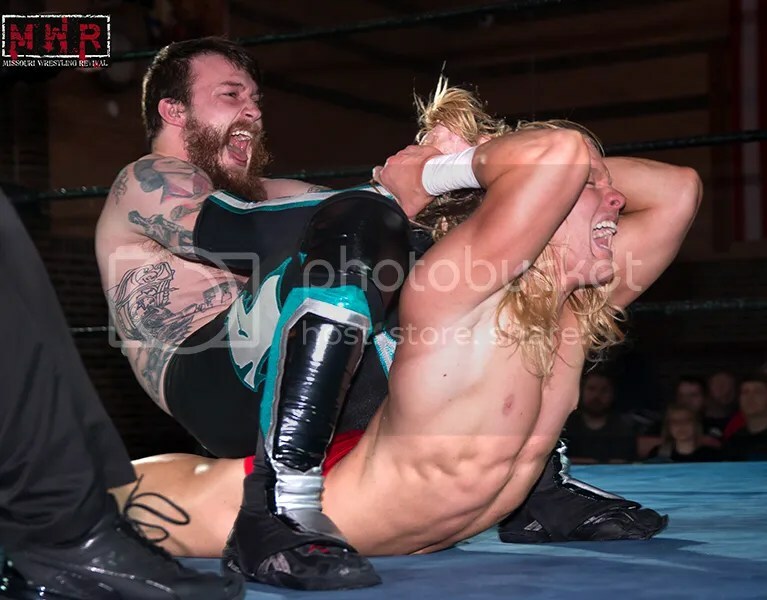 Several existing issues surfaced in the midst of the battle; Sydal and SBC locked horns once again, leading to Charles throwing Sydal out of the ring and getting some retribution for his earlier loss. Wilder crossed paths with Wyatt once again and was sent floorward. 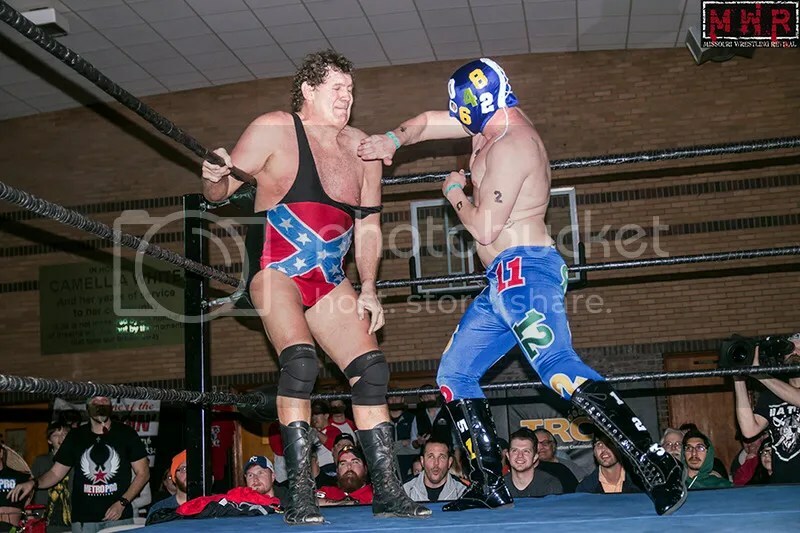 The Black Hand Warriors had to deal with not only the Bumrush Brothers but also Jack Gamble; Gamble and partner Jon Webb had been targetting the pair’s WLW Tag Titles in recent months. DeLorean eliminated Gamble, but the Black Hand Warriors’ night wasn’t quite over. Outtkast eliminated DeLorean, then Magnuson entered only to be jumped in the aisleway by Shorty Biggs! 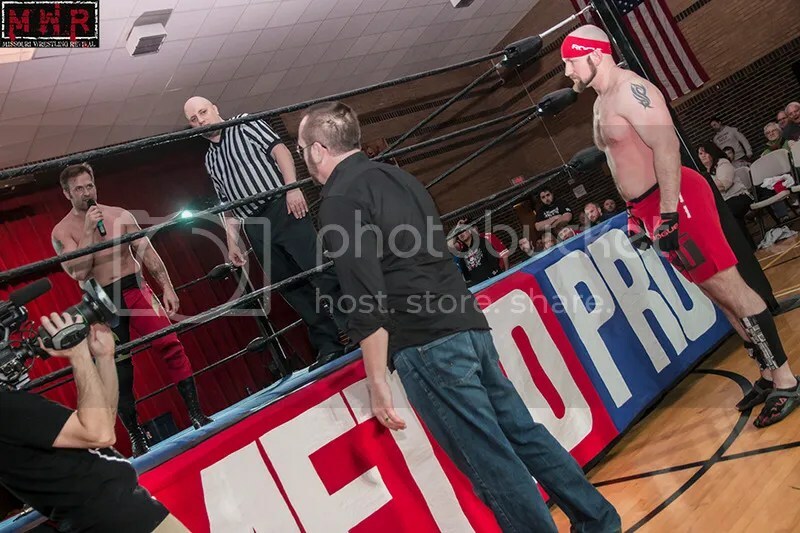 Shorty didn’t want to wait for his official entrance to the matchup as he assaulted Magnuson at ringside, then brought him into the ring for a double-team beating and elimination. 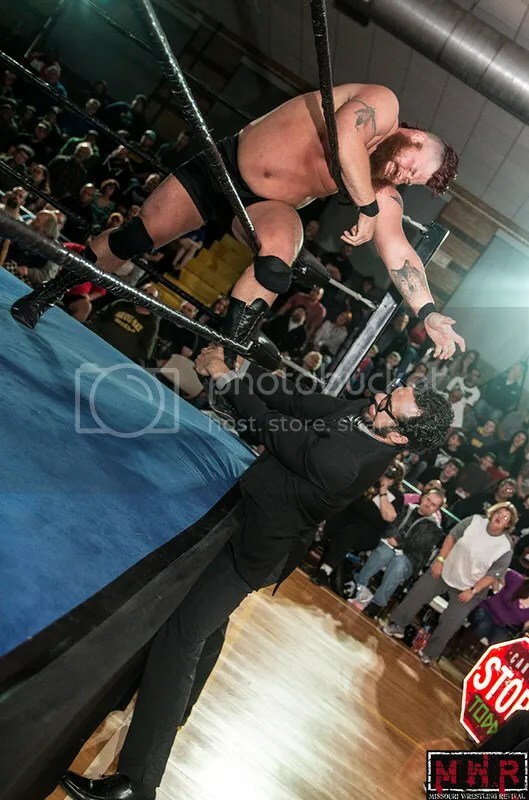 Undaunted, Magnuson pulled Shorty to the floor from outside the ring…that issue is nowhere close to being settled..
Dan Walsh hit the ring and immediately set his sights on Brandon Gallagher; Gallagher had cost Walsh a match to Kevin X in January and “Walking Reality” wanted to get some payback. Walsh sent his blue-haired rival sailing out of the ring…but Gallagher didn’t call it a night just yet. Elvis Aliaga was a surprise entrant at #20…he had already tangled with Dirden earlier in the night, but he wanted another shot at the big man even if he had to win the battle royal to do it. The final four of the match were Wyatt, Rudolph, Walsh, and Aliaga…the remaining competitors focused their efforts on Rudolph, allowing Wyatt to finally get him out of the ring. Wyatt threw Walsh over the ropes…and Gallagher(who was still lurking at ringside) pulled him to the floor to cause his elimination! That left the first and last entrants to battle it out, so Dirden made his way to ringside to observe the outcome. 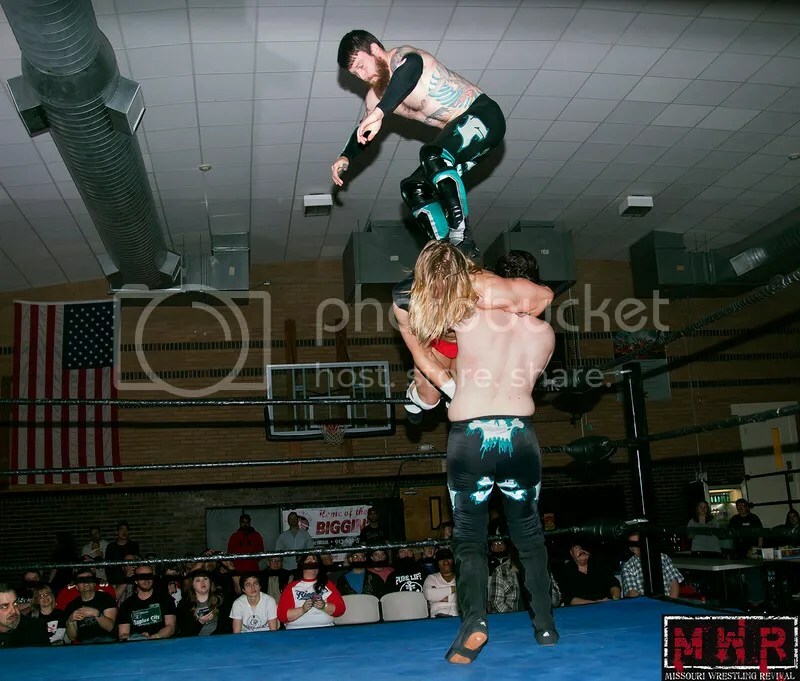 However, his presence was a distraction to the wrestlers in the ring, particularly Aliaga; that allowed Wyatt to knock Elvis off the top rope to the floor, scoring a huge win in the battle royal! 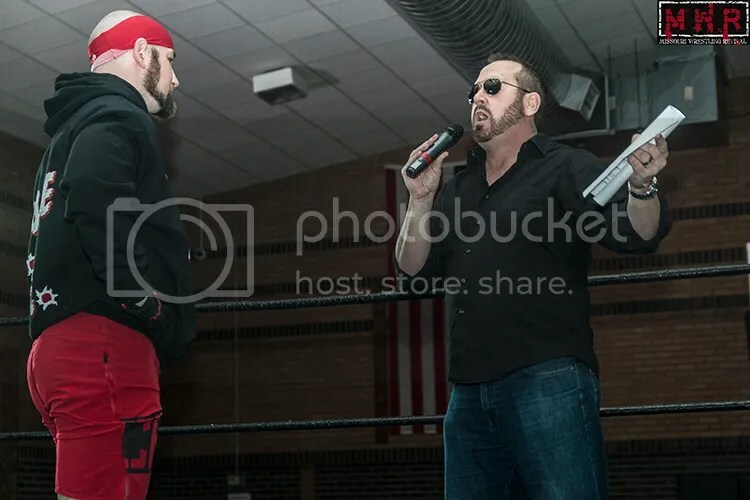 Dirden and Wyatt confronted each other after the match, but Kevin X made his way to ringside to remind Dirden that his title shot is in a few weeks. 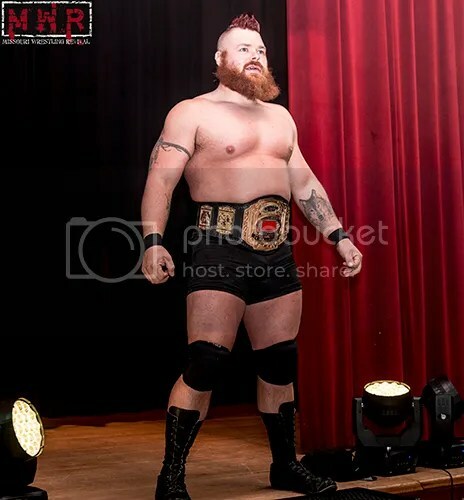 With Kevin X, Wyatt, and possibly Aliaga in his future, the Dynamo Heavyweight Champion has a lot on his plate in the upcoming months! Brian & Lori Davis had recently lost everything in a house fire, including their seven-year-old son. Fortunately, they had friends who were ready to lend a helping hand. 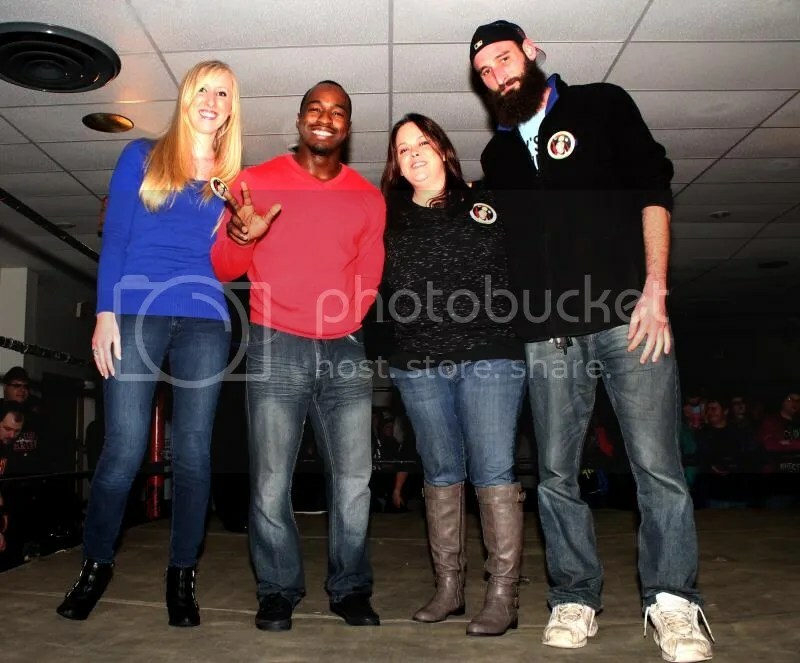 Brian, Lori, and Brian’s sister Lindsay were in attendance for St. Louis Anarchy’s Benefit Bash in Alton, Illinois. 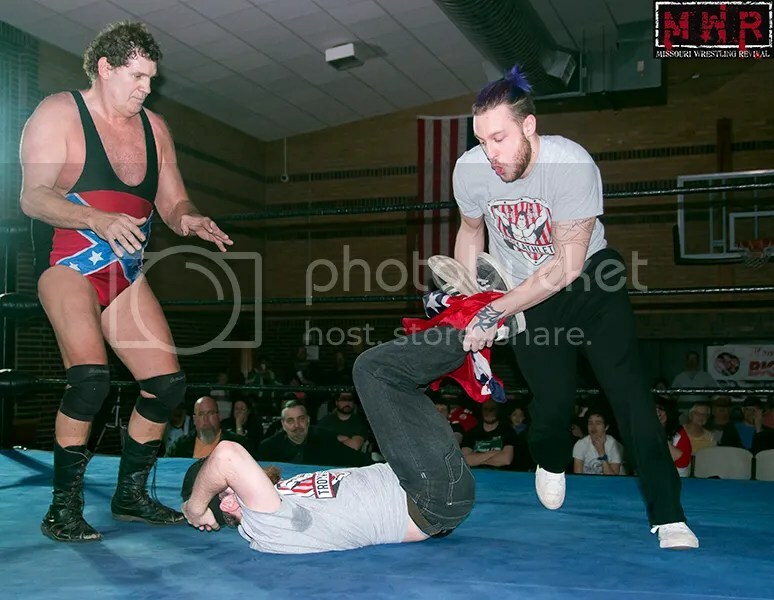 Members of the Anarchy roster were friends of the family and set up the event to raise money for the Davises; all of the proceeds from ticket sales and merchandise raffles went directly to the family. 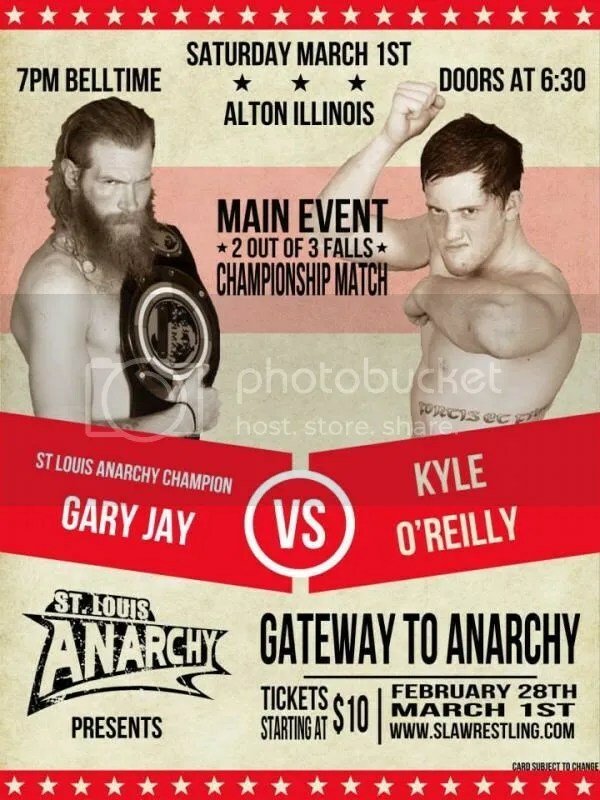 As usual, St. Louis Anarchy presented a loaded lineup; Ring Of Honor stars Michael Elgin, Kyle O’Reilly, and A.C.H. were on the card as well as west-coast standout B-Boy. 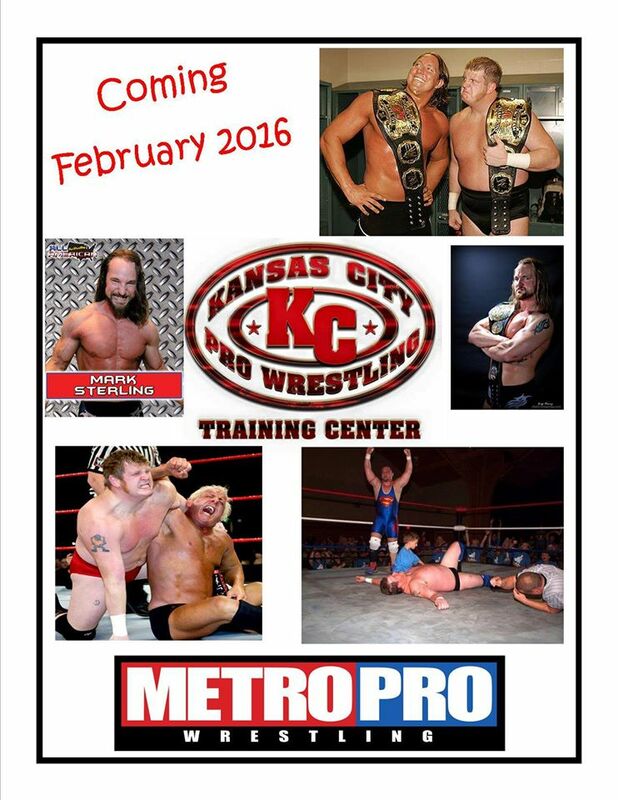 Several competitors made their debuts for the promotion and others made their returns after long absences. Some people on the show were more concerned about their own matters, one of those being ring announcer/manager Greg Jovi. 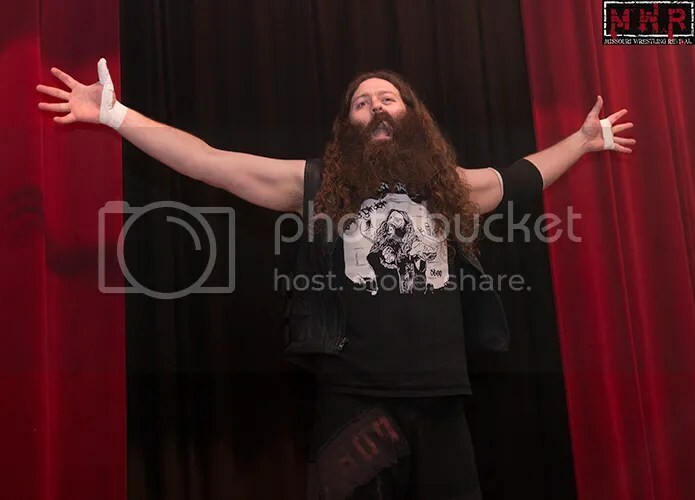 He had returned as a ring announcer for Yuletide Terror, but he still harbored deep-seated resentment toward the Anarchy fans. He lashed out at the fans in attendance at the start of the show before being run off by the Hooligans. 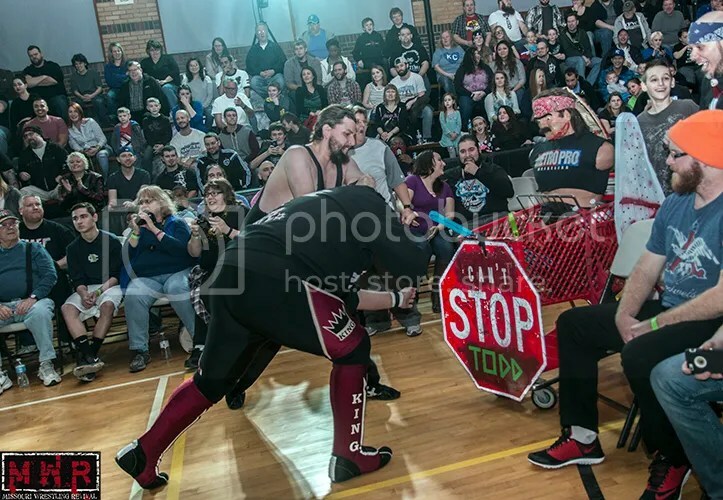 The Hooligans fended off a strong effort by the Two-Star Heroes (Matt Knicks & Chris Castro) and vowed that they would give the same treatment to the Young Bucks on March 1st. 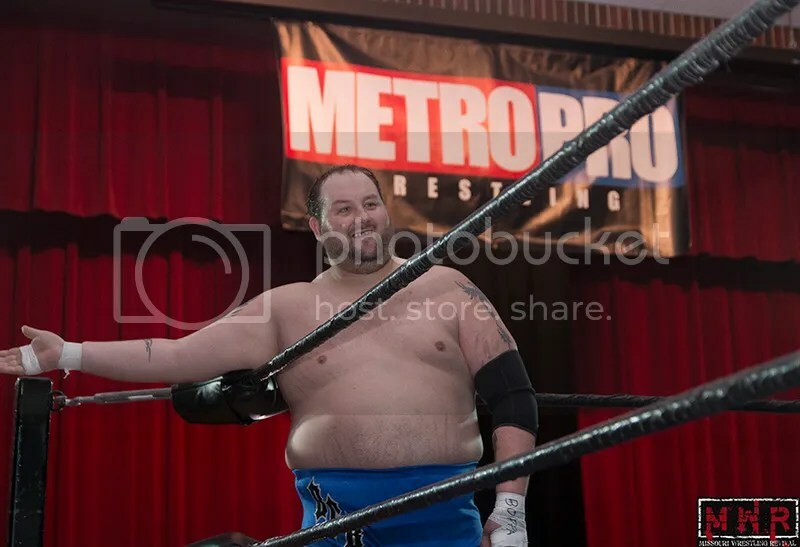 The fans in attendance had less than flattering sentiments regarding Matt & Nick Jackson. 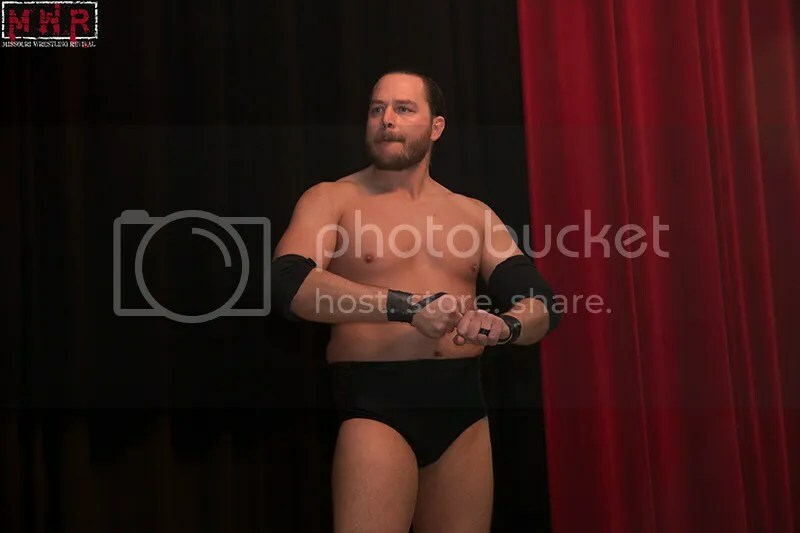 Brandon Espinosa was in the rare position of being a fan favorite against “The Money” Matt Cage. Cage offered Espinosa some cash to “go down”, but Espinosa misinterpreted Cage’s intentions at first. Espinosa took the payoff but attacked Cage anyway to kick-start the bout; Espy went on to win a tough battle. 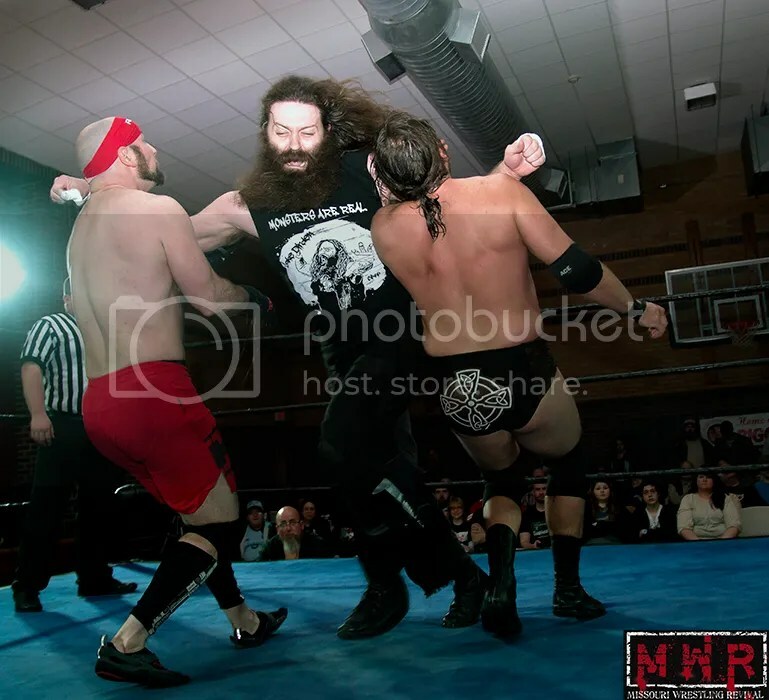 Chaos was the order of the day in a six-way dance featuring newcomers to the Anarchy roster. “Showtime” Bradley Charles and Geek Singh formed a temporary alliance to eliminate the competition, but SBC double-crossed Singh by rolling him up for a surprise pin. 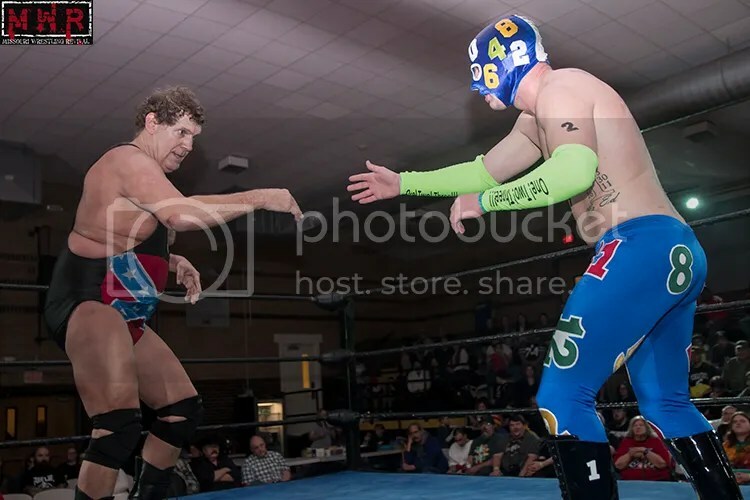 That left Charles one-on-one with Alex Castle, but Castle would emerge victorious as he continues to gain fan support in SLA. 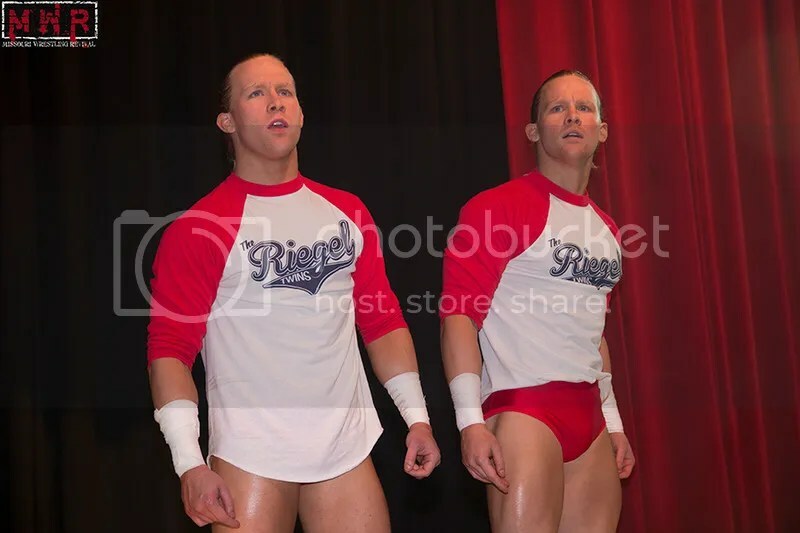 The fans recognized Jeff O’Shea as “Not Matt Cage”; O’Shea had filled in for Cage as Castle’s tag partner at a previous show. That brought Cage himself to the ring to shake hands with his counterpart. O’Shea and Mallaki Matthews took on the duo of Alex The Big Owl and Gorgeous Jordan Lacey; The Big Owl showed a more aggressive side in picking up the win. 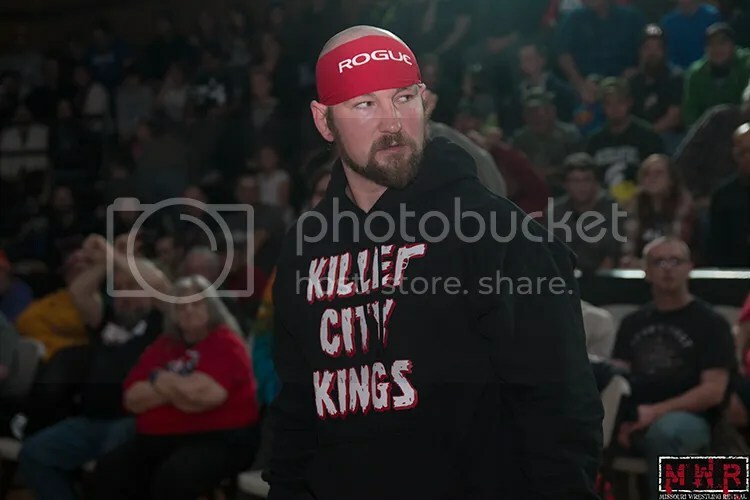 B-Boy had once teamed up with Homicide and his resume includes experience with IWA Mid-South, Wrestling Society X, Pro Wrestling Guerrilla, and Jersey All-Pro Wrestling. 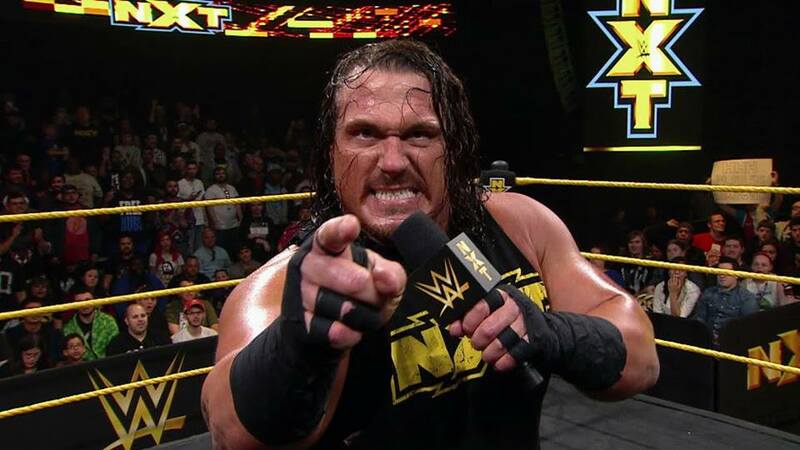 However, this was his first appearance in the St. Louis area and he was facing a crowd favorite in A.C.H. A.C.H. 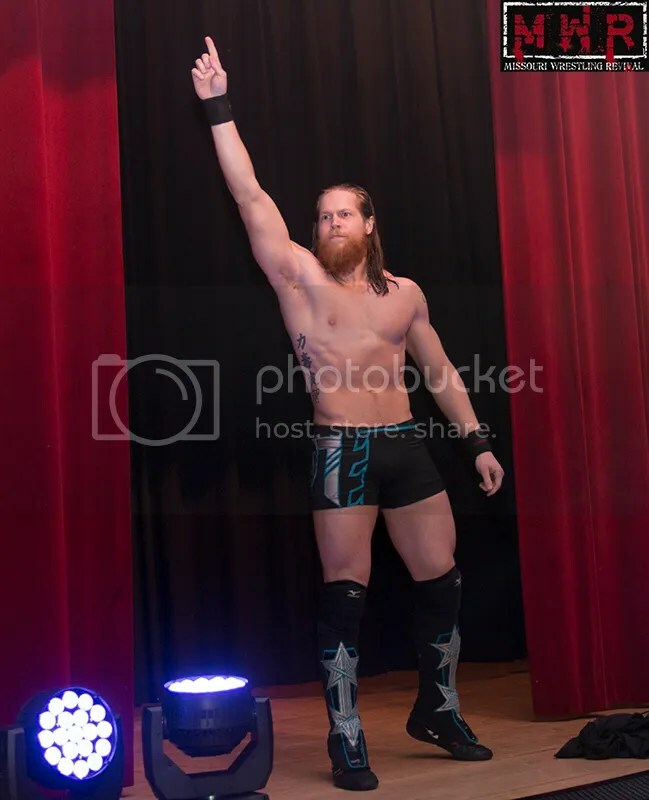 has been making a name for himself in ROH as well as other national promotions…despite the difference in overall experience, A.C.H. was able to get the tapout win over “The New Age Punisher” and earn his respect! 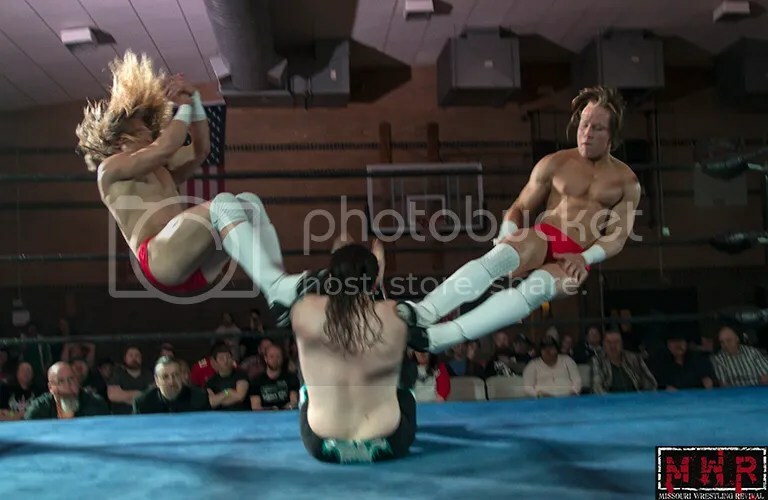 Mike Sydal showed off his yoga-enhanced flexibility on a few occasions, but it wasn’t quite enough to take down the popular Bolt Brady; Bolt got the win after several innovative maneuvers. Despite Michael Elgin‘s national reputation, the fans were solidly behind Jojo Bravo in his quest to topple the powerhouse. 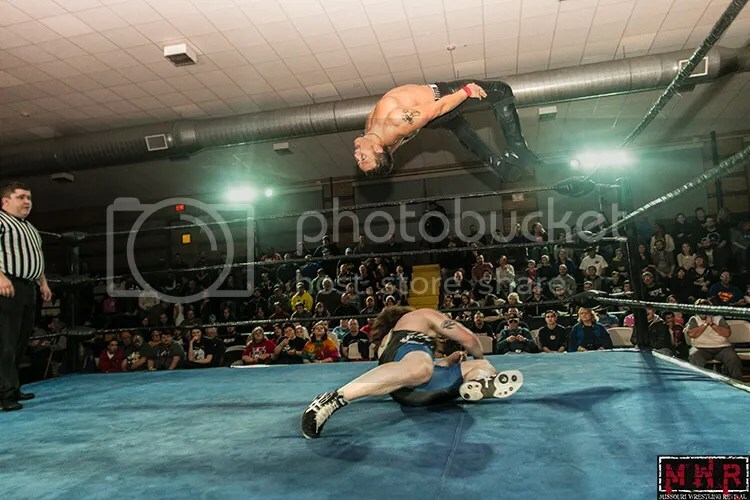 Jojo did his best to wear down the “Unbreakable” one with sleeperholds, but Elgin finally defeated him after a turnbuckle powerbomb followed by his signature spiral bomb. It appeared Bravo had impressed Elgin, but Elgin mowed him down with a clothesline after raising his beaten opponent’s hand. 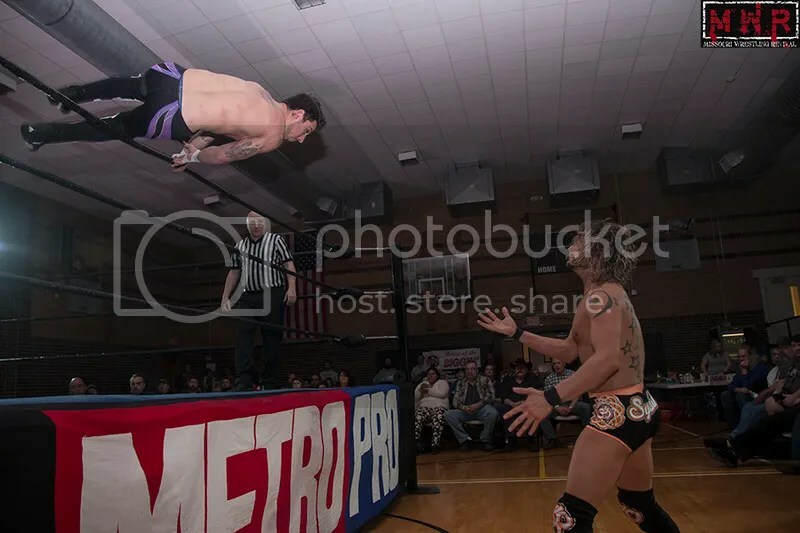 With a title shot at Gerald James in his future, Kyle O’Reilly sought to pick up some momentum heading into the Gateway To Anarchy weekend. 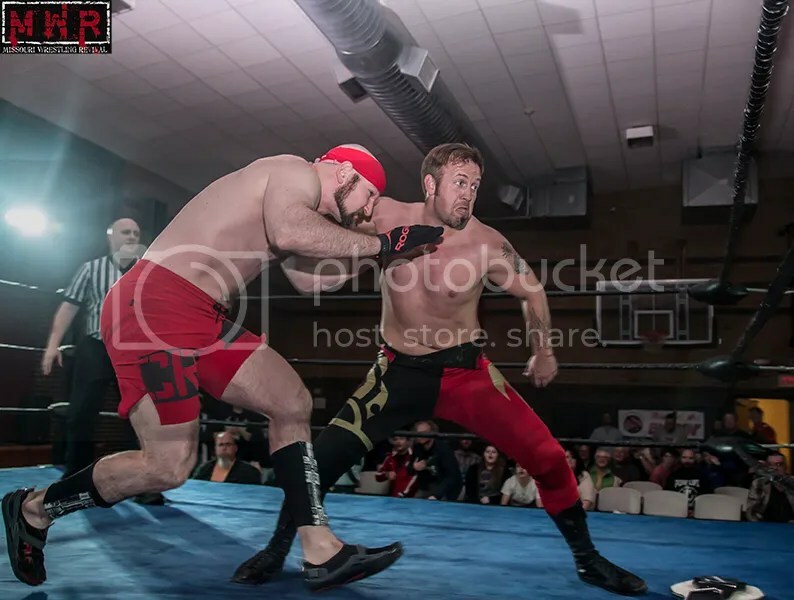 Evan Gelistico was far from a mere “stepping stone” in O’Reilly’s journey and matched the current Ring Of Honor Tag Team Champion move for move. In the end, O’Reilly got the victory and now looks to capture the gold in St. Louis Anarchy! 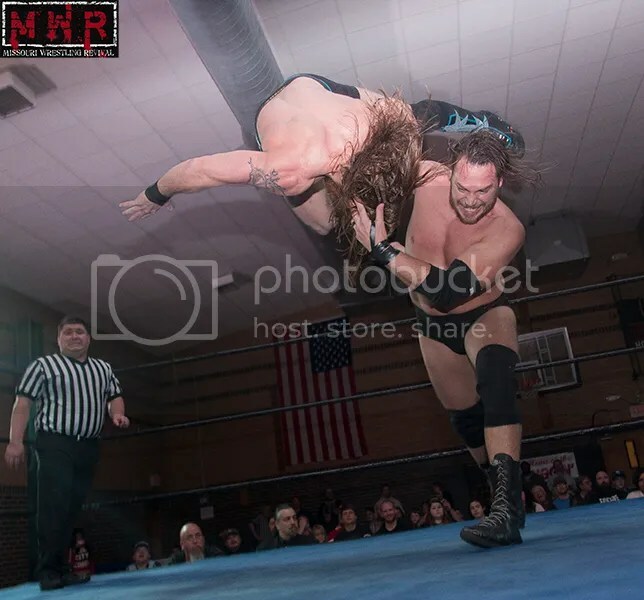 Adam Raw returned to SLA to face Ricky Starks...with the recent trend of “old school” in wrestling, the two used several moves that you wouldn’t normally see in an Anarchy ring like the bearhug and iron claw. Raw got the win with a familiar-looking combination of moves: A big boot to the face followed by a legdrop off the ropes. 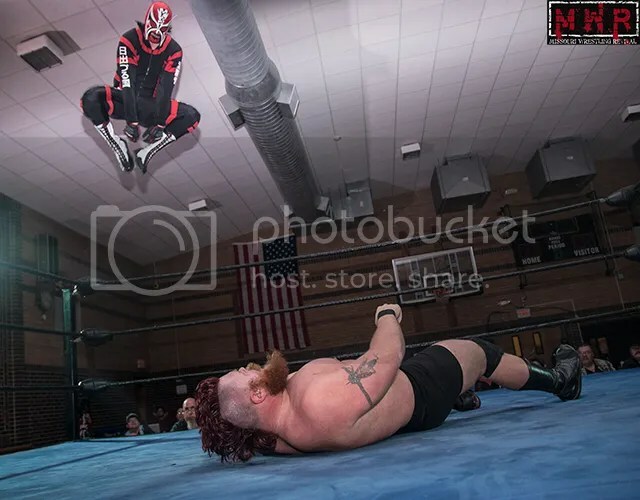 The main event was a wild brawl right out of the gate as Davey Vega and Mat Fitchett rushed the ring to battle with Anarchy Champion Gerald James and Jeremy Wyatt. Dorian Victor wasn’t above getting physically involved so it was a three-on-two situation at times. Despite the odds, Fitchett managed to plant James with a cradle piledriver to pick up the win over the champion! The night wasn’t quite over as James, Wyatt, and Victor went on the attack once again. Greg Jovi ran into the ring to attack his former protege Fitchett and that brought out the Hooligans. Alex The Big Owl and Jordan Lacey weren’t far behind…but out of nowhere, Lacey turned on his tag team partner! At the end of the show, Lacey stood tall alongside James, Wyatt, Victor, and Jovi. 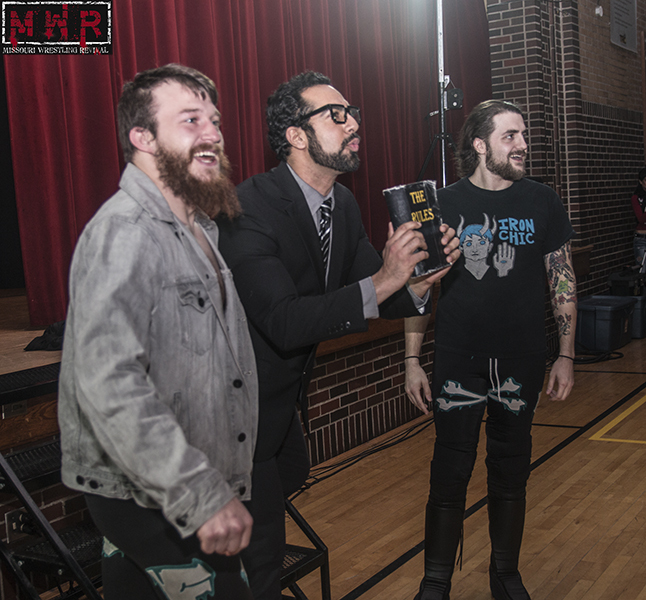 While the events of the wrestling show were memorable for the fans in attendance, it was special in a different way for the Davises…their friends at St. Louis Anarchy had put on a great show and given them some much-needed financial support in a tough time of their lives.